You Are Here: Home » Hair Treatment » What is Male Pattern Baldness? 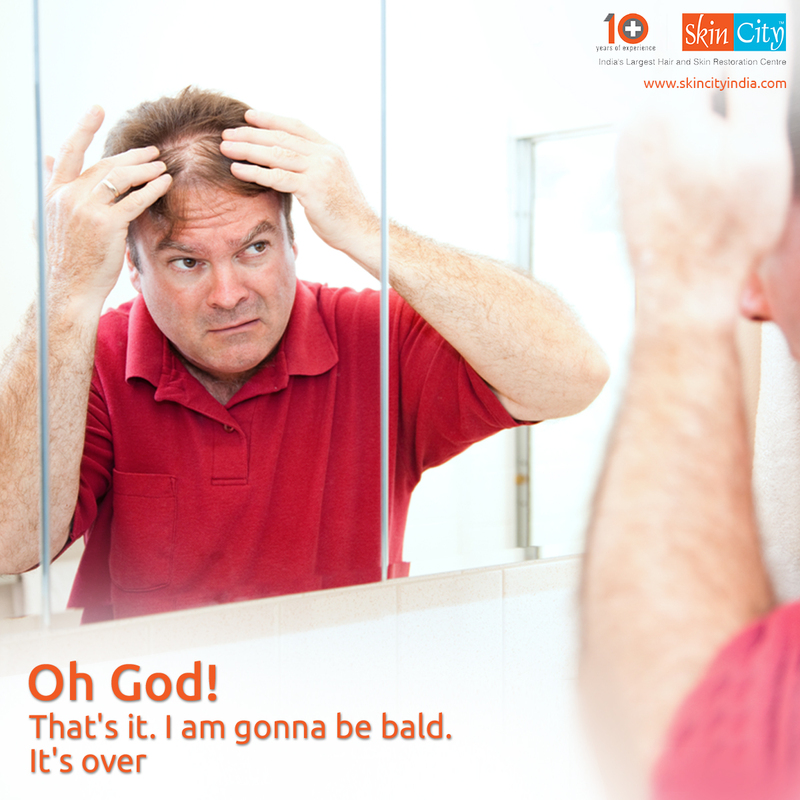 Androgenetic alopecia or common male pattern baldness (MPB) accounts for more than 95% of hair loss in men. By the age of 35 two-thirds of men will experience some degree of hair loss, and by the age of 50 approximately 85% of men have significant thinning hair. Approximately 25 % of men suffer MPB process before they reach the age of 21.Hair loss affects every aspect of sufferer’s life, it affects interpersonal relationships as well as the professional lives of those suffering. While there are many possible reasons men lose their hair, like serious disease, reaction to certain medications, and in rare cases extremely stressful events, most hair loss in men can be blamed on heredity. What MPB sufferers are actually inheriting their hair follicles with a genetic sensitivity to Dihydrotestosterone (DHT) Hair follicles that are sensitive to DHT begin to lessen, shortening the lifespan of each hair follicle affected. Eventually, these affected follicles stop producing cosmetically acceptable hair. MPB is generally characterized with the onset of a receding hairline and thinning crown. This pattern eventually progresses into leaving only a rim or “horseshoe” pattern of hair remaining in the more advanced stages of MPB. For some men even this remaining rim of hair can be affected by DHT. Dihydrotestosterone (DHT) is a derivative or by-product of testosterone. Testosterone converts to DHT with the aid of the enzyme Type II 5-alpha-reductace, which is held in the hair follicle’s oil glands. While the entire genetic process of male pattern baldness is not completely understood, it is known that DHT shrinks hair follicles, and that when DHT is suppressed, hair follicles continue to thrive. Hair follicles that are sensitive to DHT must be exposed to the hormone for a prolonged period of time in order for the affected follicle to complete the miniaturization process. Today, with proper intervention this process can be slowed or even stopped if caught early enough. Classic male-pattern hair loss begins above the temples and vertex, of the scalp. As it progresses, a rim of the hair at the sides and at the rear of the head remains. This is referred to as ‘Hippocratic wreath’, and rarely progresses to complete baldness. Typical MPB is usually diagnosed based on the appearance and pattern of the hair loss, along with a detailed medical history, including questions about the prevalence of hair loss in your family. An experienced medical hair loss expert will examine the scalp under magnification, in order to assess the degree of miniaturization of the hair follicles. This assessment is very important when recommending the proper course of treatment. 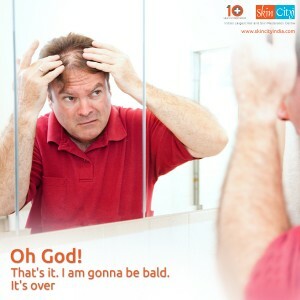 In the past few years, medicine has made tremendous strides in the treatment of men’s hair loss. With the advent of medicines and the evolution of surgical hair restoration, for many, living with noticeable hair loss is no longer inevitable. For the first time in the history of mankind, it is now possible to stop or slow the progression of hair loss and to replace lost hair through surgery with completely natural results. Remember, successful treatment of hair loss is greatly dependent on early intervention. It is critical to begin treatment with an effective product as soon as you notice the onset of hair loss.